Just as 'spin' has taken over politics in America, so too has it come to define the long bull market on Wall Street. The booming trade in stocks has produced an insatiable demand for financial intelligence. On television and the Internet, commentators and analysts are not merely reporting the news, they are making news in ways that provide huge windfalls for some investors and crushing losses for others. And they often traffic in rumor, speculation, and misinformation that hit the market at warp speed. New York Times bestselling author Howard Kurtz turns his skeptical eye on the business-media revolution that has transformed the American economy. He uncovers the backstage pressures at television shows like CNBC's Squawk Box and CNN's Moneyline and at Internet start-ups like TheStreet.com and JagNotes, real-time operations in the very arena where fortunes are made and lost with stunning swiftness. No one has ever reported from inside the Wall Street media machine or laid bare the bitter feuds, cozy friendships, and whispered leaks that move the markets. In a time of head-spinning volatility, The Fortune Tellers is essential audio listening for all of us who gamble our savings in today's overheated stock market. 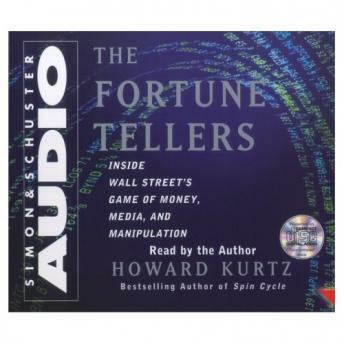 I had previously been in favor of having authors read the audio version of their books but Kurtz has changed my mind. His fast-paced reading is very annoying and it feels like he is shouting out results of the day's trading on the Street. The material is very interesting but of the main players in the book only Jim Cramer is well developed enough to understand.